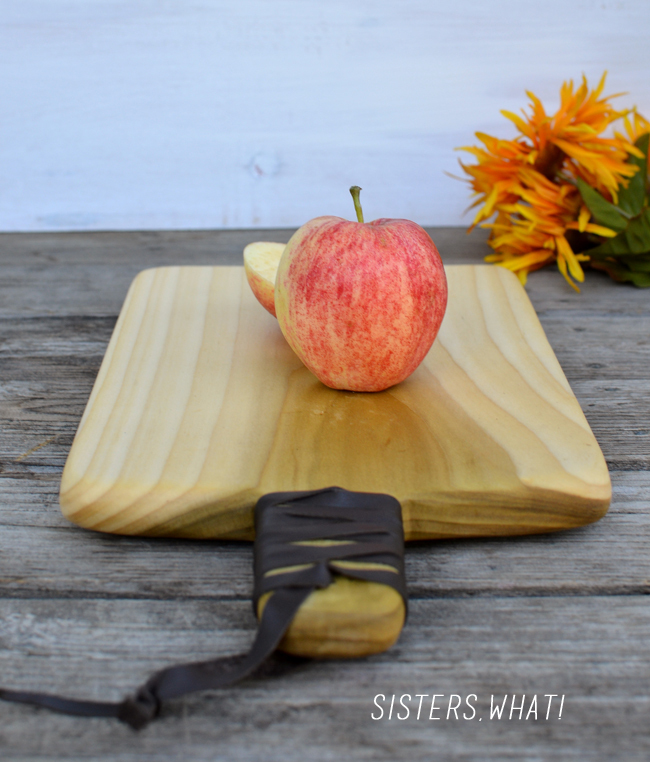 ' Leather Accented Cutting Board +14 other Handmade Christmas gift ideas - Sisters, What! 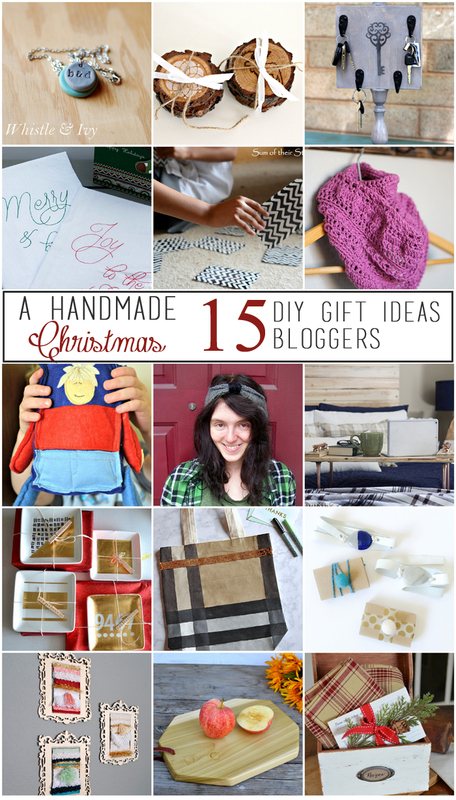 Today we're participating with 15 other bloggers on a Handmade Christmas blog hop. 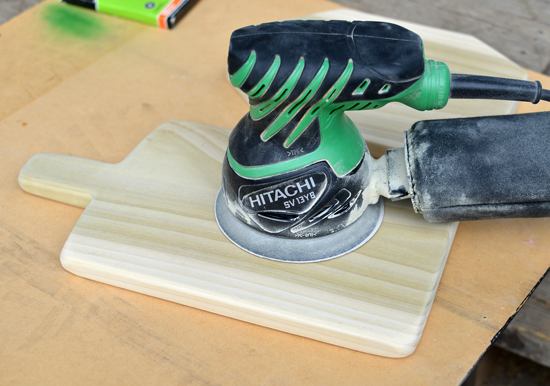 There are so many awesome DIY Christmas projects, so make sure you check them out. 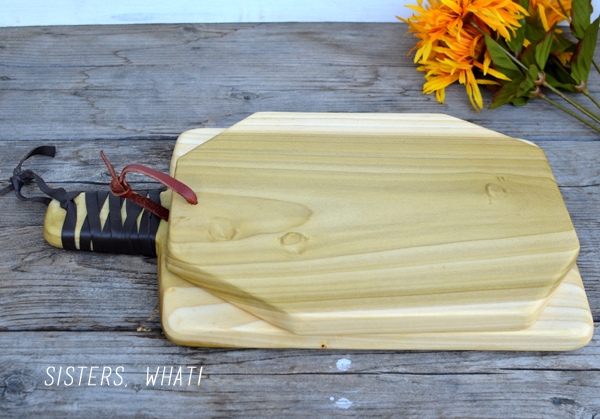 For my gift, I made a Leather Accented Cutting Board. 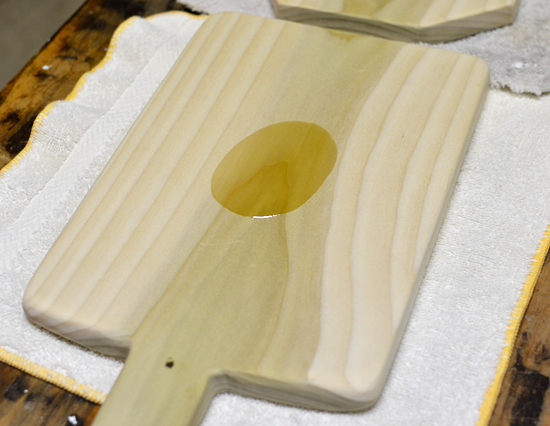 I've been wanting to try to make a cutting board for a long time, but I finally decided to give it a try. I'm very proud to say that I did this COMPLETELY without the husband's help. 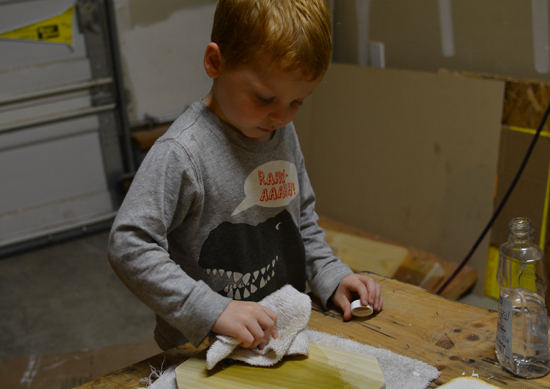 I lost patience waiting for him to be available, so I finally worked up the courage and just made the cutting boards myself. And guess what? they were ridiculously easy!! I tried two different shapes, one with a handle and one in a octagonal shape. I love how they both turned out. 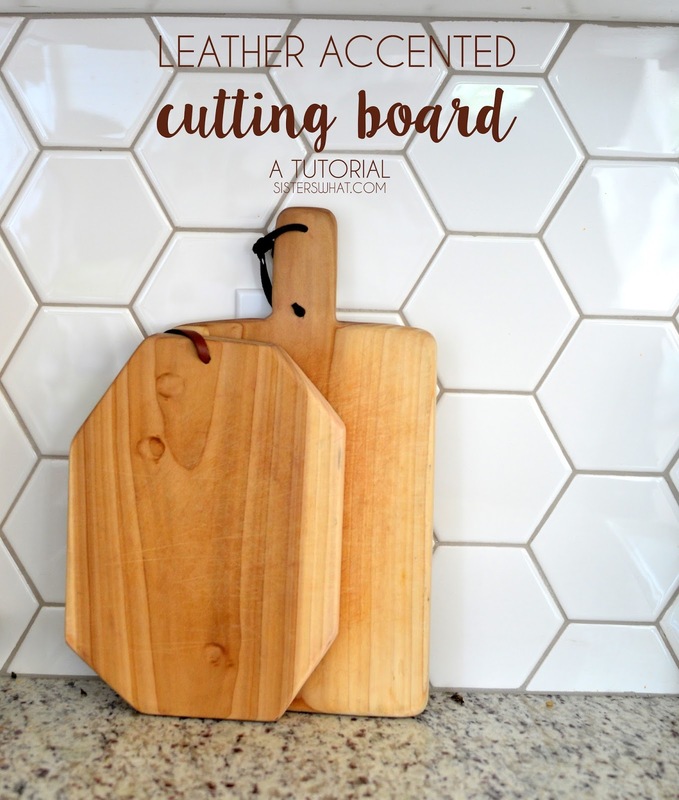 ||1|| Trace your desired cutting board design on your wood and cut it out using the jigsaw. Go slow around the curves/corners. For the octagonal shape, I didn't want it to be perfect, so I just sort of winged it. ||2|| After you cut your shapes, sand it down. 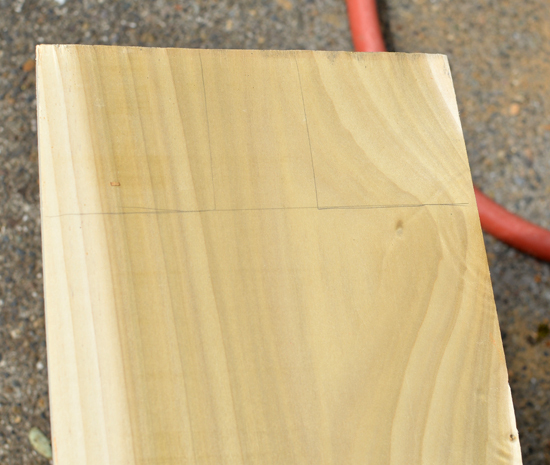 Start with 80 grit sand and work your way up to 220 grit sand paper. For the corners on the handle, I had to hand sand it to get the corners smooth. 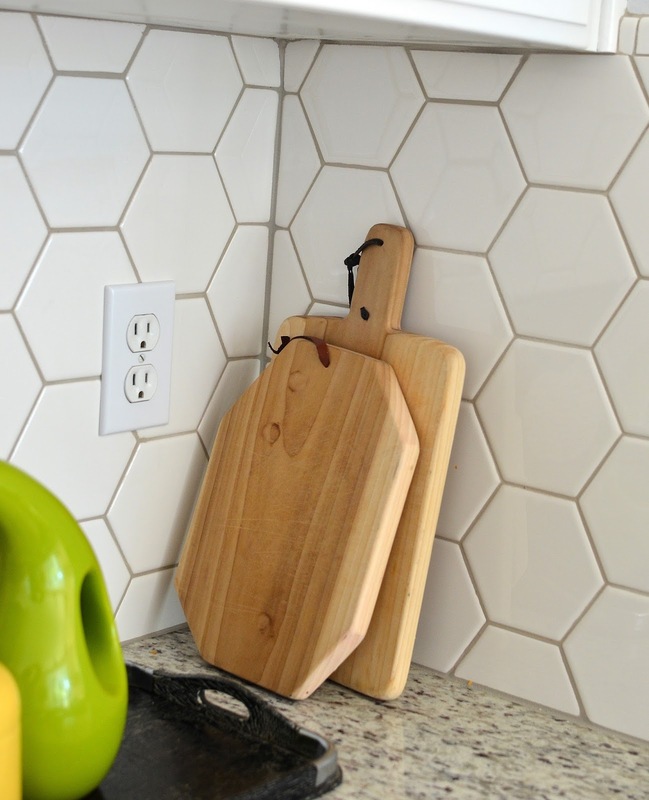 ||3|| If you want the leather on the handle, then drill two holes on the handle cutting board and just one hole on the octagonal cutting board. ||4|| Now wipe off any dust from the cutting board and apply the mineral oil (you can find this in the grocery store in the pharmacy area). 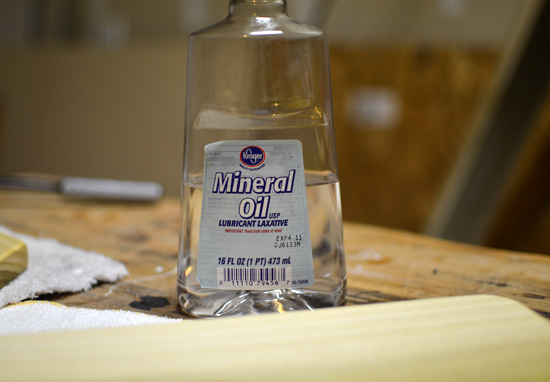 Captain Awesome wanted to help me on this one, he did an excellent job at applying it evenly. 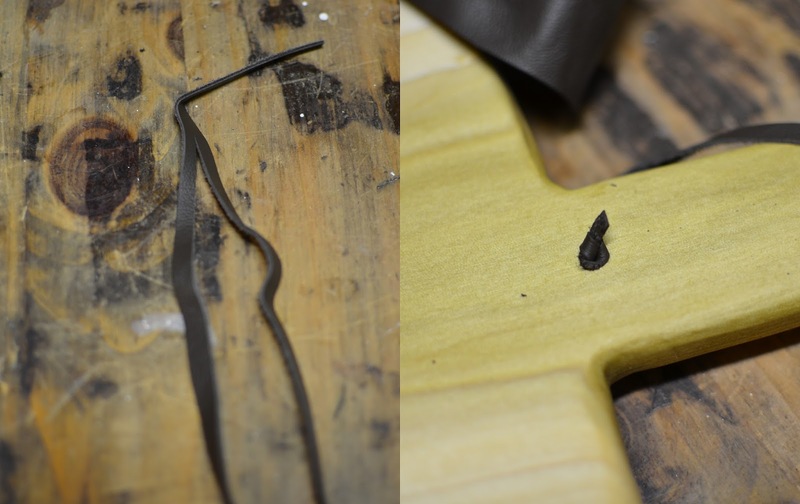 Cut your leather piece long and skinny and then cut down the middle into two pieces until about 2 inches at the bottom. 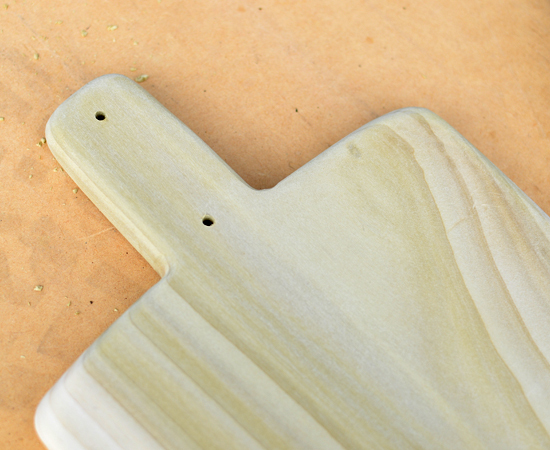 Then push that 2 inch end piece through bottom hole of the cutting board. Then tie a knot and pull tightly. 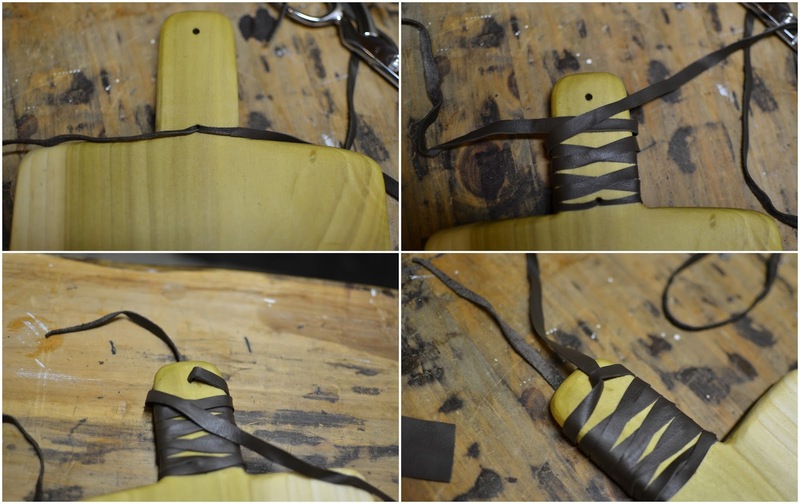 Then on the opposite side split the leather pieces apart and start wrapping the around the handle while crisscrossing them until you get to the top hole. Put one of the pieces through the whole and put the other through other side of the leather piece (look at the last picture if you're confused. Then tie the two strands together at the top and you're done. Let me know if you have any other questions. 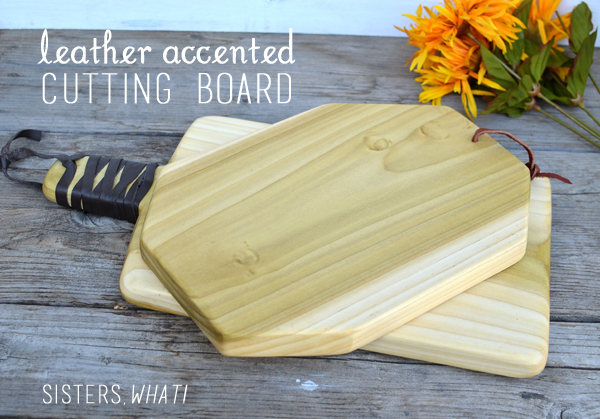 Seriously, it was super, super easy and they are awesome cutting boards. Make sure you check out all the great gift ideas, seriously they are all amazing!! Wow, the grain in the wood is lovely and the leather just finishes it off beautifully. They'd make fab wedding or house warming gifts too. I know, I love the look of the grain and the leather really is a great and simple accent. These came out so well, Havalah!! I've been wanting to make some cutting boards myself too! What a great idea for a gift! do it! it was the easiest wood project I've ever done. This is SUCH a great gift idea!!! 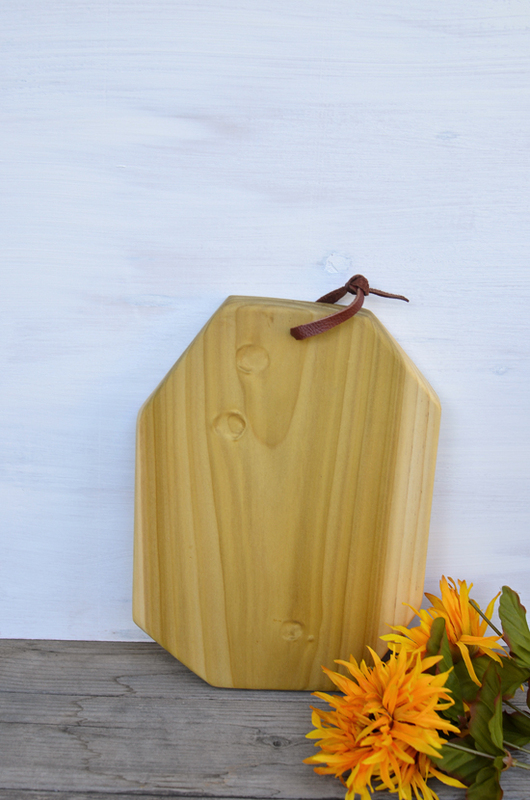 Would be perfect as a hostess gift for all of those holiday parties! And, I may just need to make one for myself too!!! It's so easy to make, I can see myself giving them for SO many different occasions. Thanks for organizing this blog hop! Great gift. So cool! I didn’t know a cutting board was so easy to make! Love it! I am in serious need of a new cutting board. These turned out great! I absolutely love the addition of the leather. Such pretty wood grain! I love these so much! This is such a fantastic gift idea. 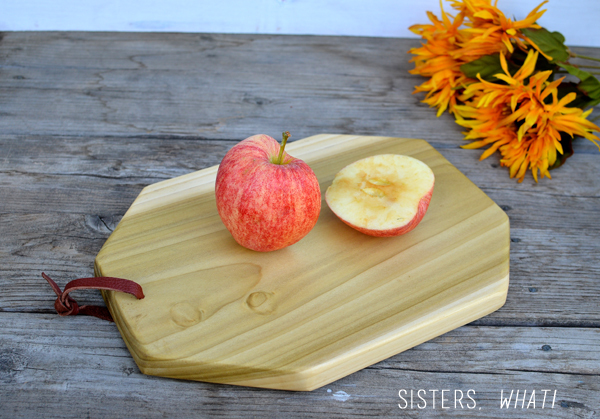 Everyone needs a cutting board, and this is one that looks pretty sitting out on the counter, too! Thank you so much for allowing me to participate with you and some other great bloggers! These are gorgeous! I would totally love to receive one as a gift! 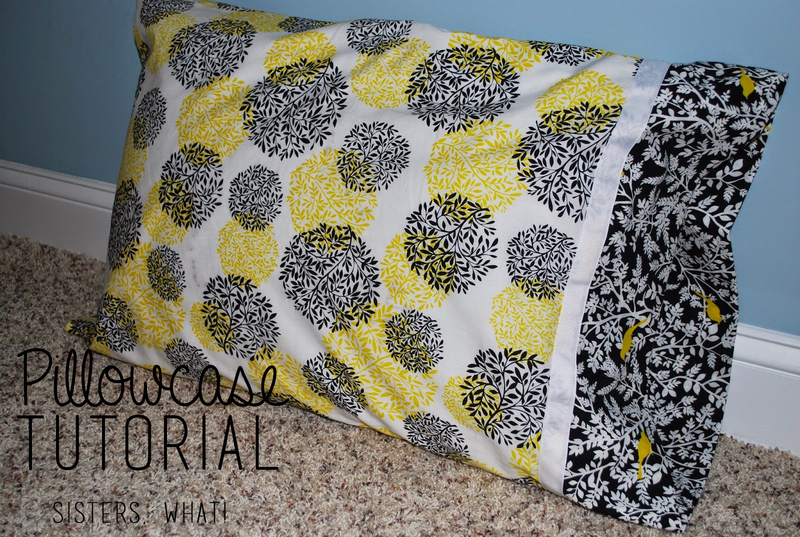 Thanks so much for arranging the blog hop!